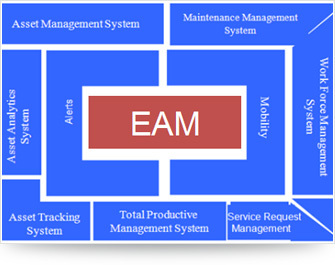 Enterprise Asset Management (EAM) is an effective web-based solution, which measures, analyzes, improves, controls and maintains the company assets by virtue of preventing operational barriers and uncovering the hidden profits. It automates the processing of non-scheduled repair and scheduled preventative maintenance requests. insurance, drawings, handling procedures, etc.